The railway budget 2008 by Lalu Prasad Yadav has surprisingly evoked elated responses in Kerala, except, understandably from BJP. The high spirits are as a result of the 5000 crore Coach Factory in Palakkad is the single biggest investment by Railways in Kerala in history. Over 10,000 jobs will be created in this massive Public sector undertaking, and indeed it is a milestone for Kerala. But apart from that the Budget has failed to address the long standing demands of the passenger community of Kerala, for yet another time. A total of 5 trains have been promised for Kerala including the extension of Bangalore-Coimbatore Intercity to Ernakulam and the Shornur-Nilambur Passenger. 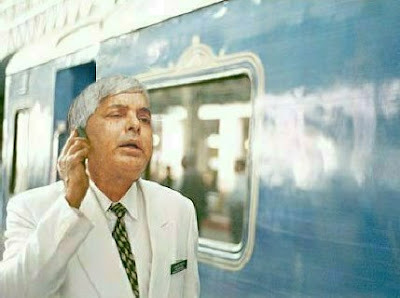 A Garib Rath, Lalu's own A/C train for the poor, will connect Bangalore to Kochuveli(Trivandrum) thrice a week. Another once-a-week service from Kochuveli to Amritsar & Dehradun + increase in Rajadhani frequency to thrice weekly sums up our kitty. But the long standing demands of the passengers remain only partially addressed. A daily Trivandrum-Bangalore Superfast has been on demand for a decade now. Apart from the irritatingly slow Island Express and an erratic bi-weekly express the 2 IT Cities have still poor rail-links. Demand for a superfast which leaves TVC at dusk and reaching Bangalore by next morning has been falling on deaf years. Garib Rath is still not the right one. The new Intercity service from Ernakulam is a daytime express, which will make commuters lose a full day in travel. 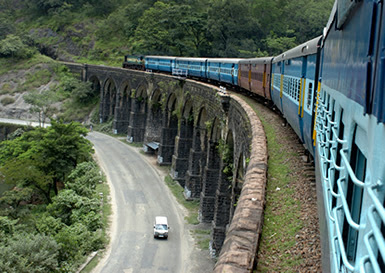 May be it is the economical front which makes the Railways turn down demands for a Shornur-Mangalore Intercity or another daytime train connecting Trivandrum-Kannur. The travel in Malabar isn't getting better with doubling still at snails pace and electrification a distant possibility. The Sabari rail link is all set to take off but there isn't any mention of the line extension to Trivandrum. This will create a parallel to MC Road from Angamaly to Trivandrum and will enhance the development of the hill regions. This line will be of great significance once the Vizhinjam Harbour is commissioned. If directly connected to Vizhinjam via Balaramapuram, it will create a rail bypass to the already congested Trivandrum-Kayamkulam sector. It is unthinkable to allow constant container traffic through Trivandrum Central and Kollam Jn. The Edappally- Guruvayoor line is another vital part in channelising freight movements to and from Vallarpadam. If not, the level crossings in the main route will soon reach a state of permanent close down. 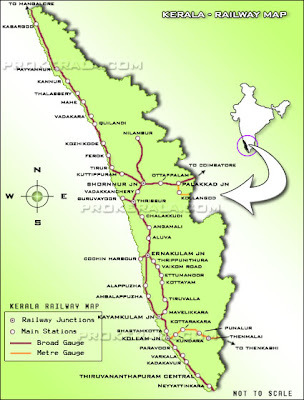 The Thalassery-Mysore railway line still remains on dreams; same is the Shornur bulb station & Nedumbassery station. The line surveys announced are turning out to be sarcasms, as after the survey the idea is found impractical and dropped. In total, there is nothing much for the common man to cheer. The Coach factory was already promised as a compensation for Salem Division. The Suburban Services wont be commencing anytime soon. The travel woes will largely remain so as the 4 general compartments in the once-a-week trains are insignificant for daily commuters. Yes, Lalu gave Bengal nothing, and Kerala a big fat nothing!